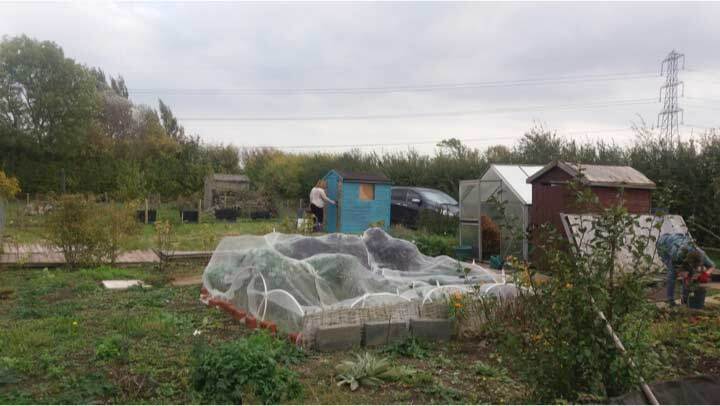 As many of you will be aware, we recently had two cases of fly-tipping outside the gates of the allotments. 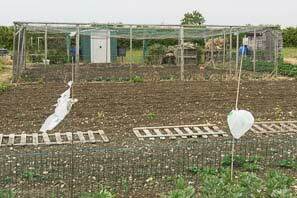 First, several bags of rubbish were left then, a few days later, 9 big upright freezers were tipped there. 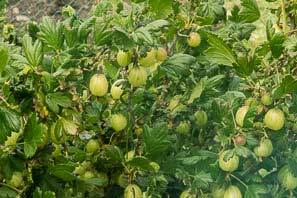 These blocked the entrance to the site and the bridle-path. I was not even aware of the problem until a plot-holder alerted me. 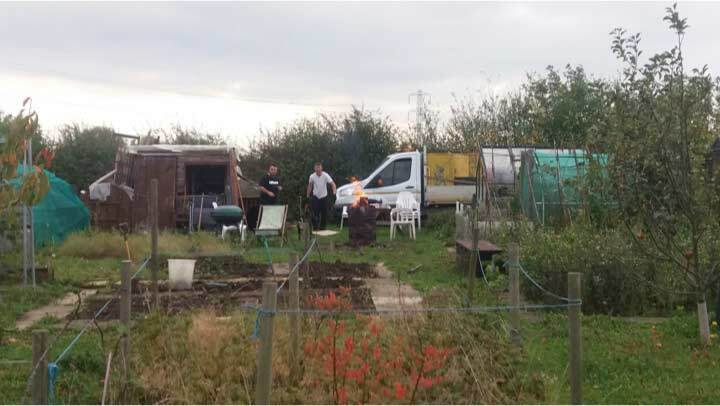 Thankfully, Rushcliffe Borough Council are very efficient at dealing with fly-tipping and once I alerted them the items were removed within days. The problem of fly-tipping is not likely to go away and it could easily happen again at any time. I think we need to deal with problems promptly in case the rubbish attracts other fly-tippers. 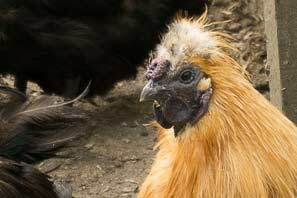 There will be times when I am not available (eg. on holiday) so, if you do see occurances of fly-tipping (anywhere in Cropwell Bishop or Rushcliffe for that matter) you can easily notify Rushcliffe Council directly. The easiest way of doing this is to click on the "Contacts" tab (on the right of this web page). On the Contacts page you will see a link, "Report Fly-Tipping" near the bottom. Just click it and follow the few simple steps to report the problem. There is even a map so that you can pin-point the location: it is very easy. It won't matter if several people end up reporting the same problem. 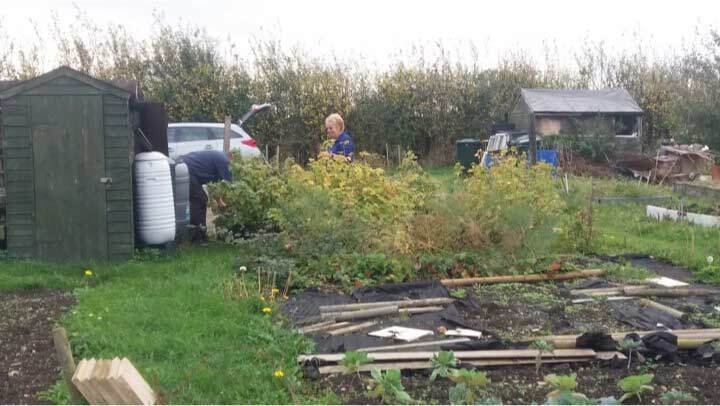 Members of Cropwell Bishop Allotments Association were busy on their plots this weekend. 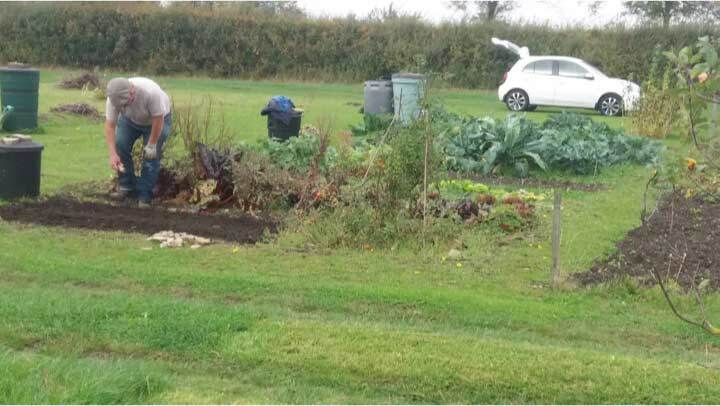 Let's hope Hurricane Ophelia does nothing to spoil their good work. Thanks to Amanda Parkinson for the photos. 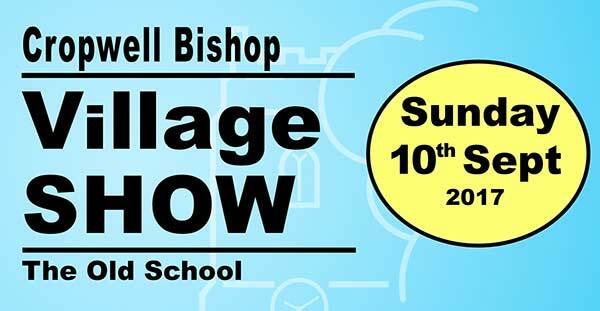 Note that the annual Cropwell Bishop Village Show this year will take place on a Sunday. 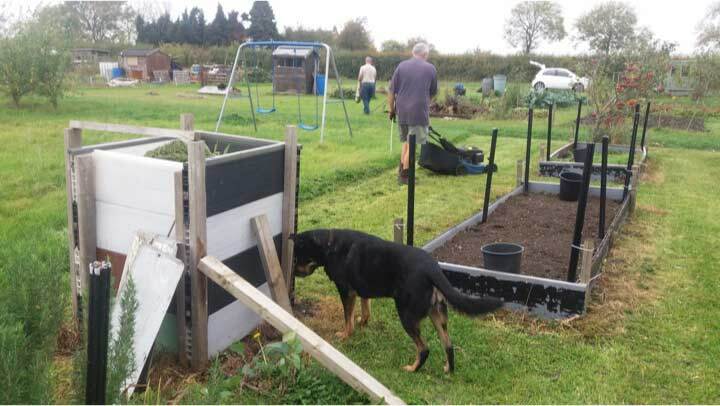 Leaflets and Entry Forms are available at Gary Jowett's Butchers Shop and The Cheesemaker's Shop (both on Nottingham Road, Cropwell Bishop) and also at the The Old School on Fern Road. See the poster on the Events Page. 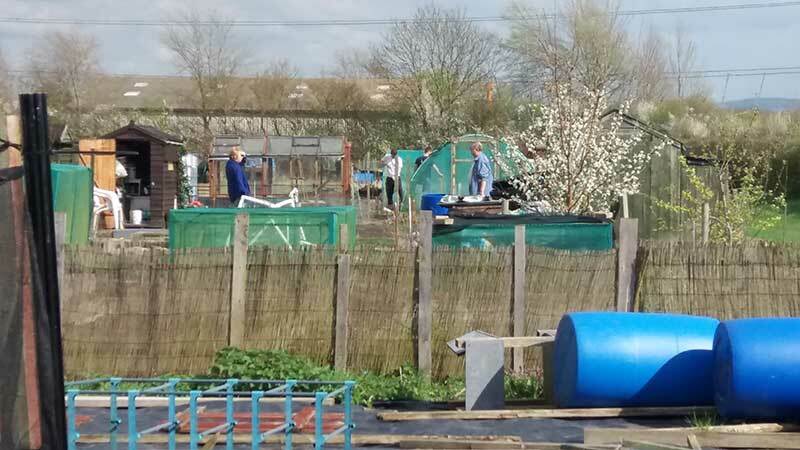 Members of Cropwell Bishop Allotments Association were out in force at the weekend, attracted by the beautiful spring weather. Thanks to Amanda Parkinson for the photos. 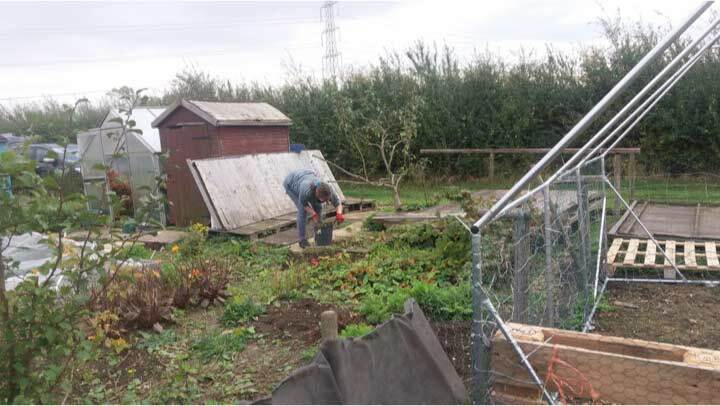 Have you ever have thought about the benefits of having an allotment of your own and all its benefits: freshly-picked food; tomatoes grown for their taste not long shelf-life; loads of strawberries to eat fresh, make jam or frozen so that you can have them on ice cream in the autumn; potatoes all year round; beetroot that you can pick in the morning, cook in the microwave and have in sandwiches at lunchtime; and much more. Or maybe you have thought more about the health benefits: effectively having your own 'gym' within walking distance of home. Exercise for the whole family without any monthly fees. Now is the best time of year to begin making those New-Year resolutions a reality: healthy eating and more exercise. 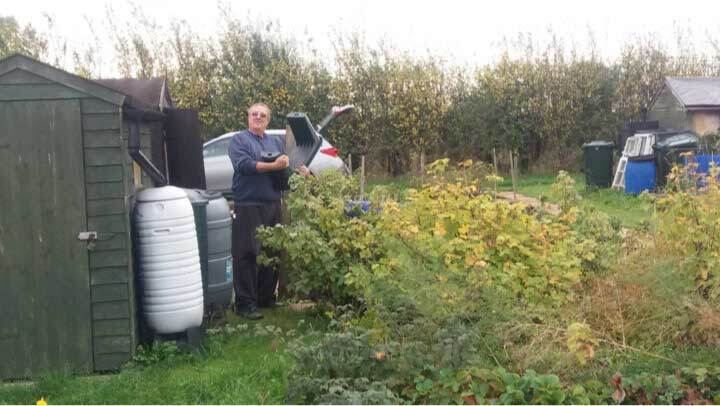 Contact me to find out what is available on the Cropwell Bishop Allotment site up on Fern Road. 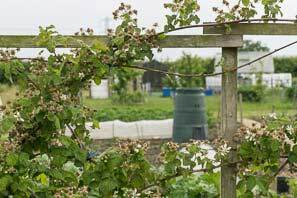 Currently, we have vacant full-size plots, half-size plots and even an offer of a share in an established half-plot. 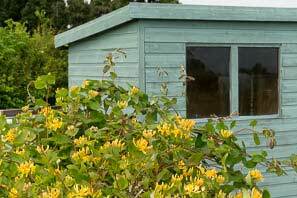 Some even have a shed. Choose now before the growing begins. 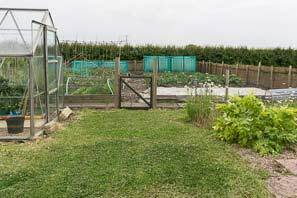 Five years ago our Allotment Site was just a field of grass. 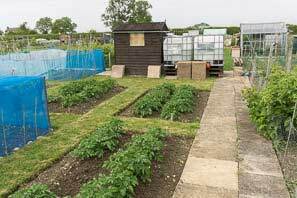 Look how the plot holders have changed it into an oasis for growing vegetables, fruit, flowers and animals. 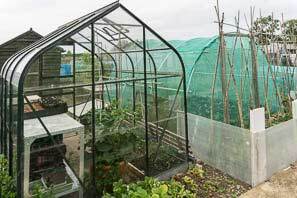 Also a place for enjoying the outdoors and being 'away from it all'. 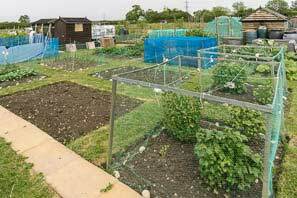 If you are interested in having an allotment, contact me, Tony Jarrow. 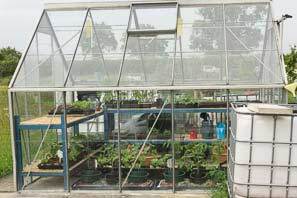 The days are getting longer, brighter and warmer: that means plants will be eager to grow again. 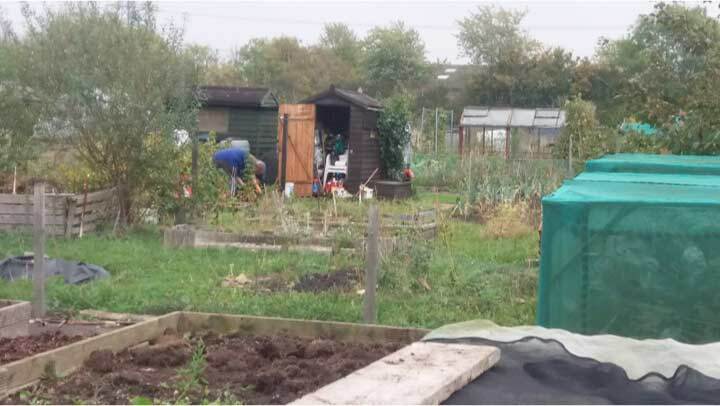 Those of us who have a plot on the Cropwell Bishop Allotment site know that the effort you put into growing our own vegetables and fruit will result in food that you know is fresh and free of harmful chemicals. 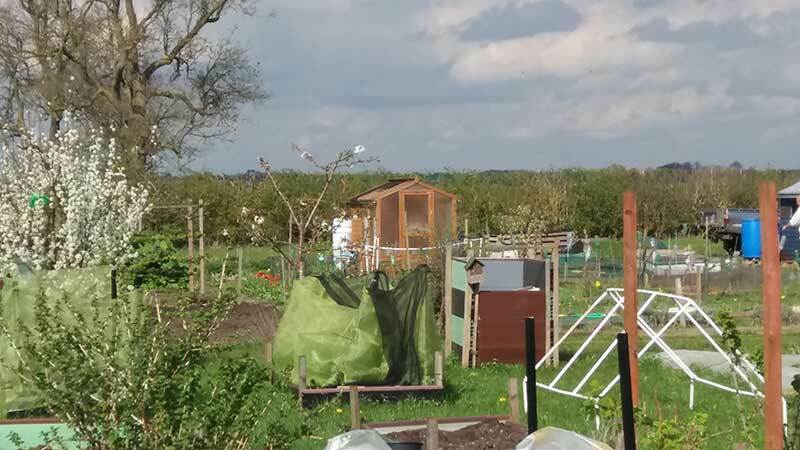 Then there is the satisfaction of seeing the high price of fresh food in the supermarkets, knowing that you have got even better produce on your plot for free. 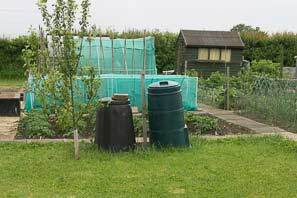 You soon realise that the annual cost of having an allotment is soon covered by the savings you make when shopping. Then there is the joy of opening the freezer in the winter months and picking out carrots, beetroots, raspberries and whatever else you froze in the summer. 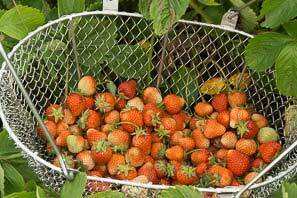 Of course, you do have to do some physical exercise in digging and weeding and, later on, picking your strawberries, beans, rhubarb, apples, etc, but you just look upon that as another saving: instead of paying to go to the gym you get your exercise for free! 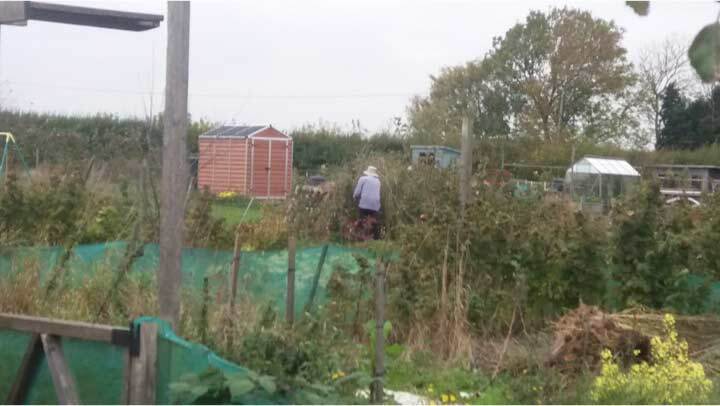 There was a time when allotments were the place to see retired men plodding around. 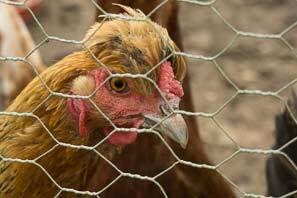 Not any more: you are just as likely to see a young mum with her children. 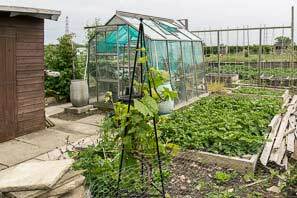 All kinds of people are making use of allotments to, not only grow food, but also escape from the sound of television and all the other pressures of modern life. 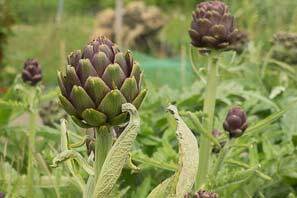 Think of them as a place to grow crops and also for you to grow calmer. 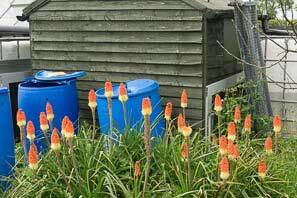 This is the time of year when plot holders renew their subscription and, as always, there are a few who, because of a change in personal circumstances, choose not to continue. 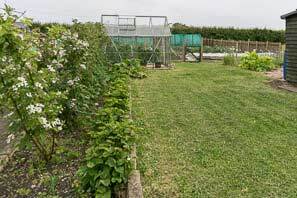 As a result we have several vacant plots that are available for rent. Because everyone's needs and available time are different we are happy for people to have the kind of plot that best suits them. 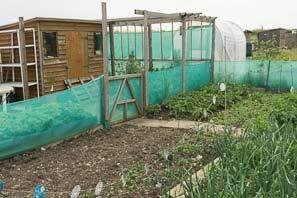 Some people want the space available on a full-size plot (25m x 10m) while others prefer a half-size plot. 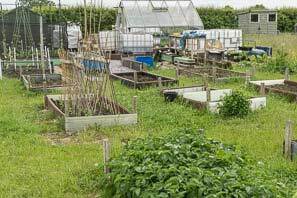 It may be that you would like to share a plot with friends, for example having splitting a full-size plot into three (a third plot each), possibly sharing a single shed. 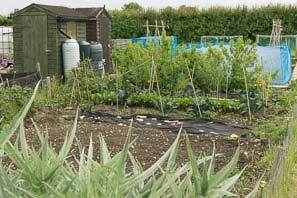 We want you to enjoy the pleasure of an allotment plot without you overstretching yourself. 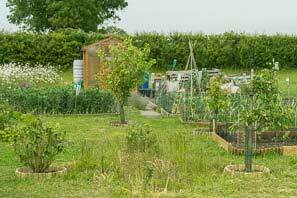 We currently have a range of different vacant plots; full-size (£60pa), half-size (£32pa), plots with fencing, plots with sheds, plots that have been cultivated and plots that are grassy, plots with fruit trees ..... something to suit everyone. These surrounding pictures give you an idea of what there is but the best way of assessing your options is a guided tour. To arrange this, phone me (0115-989 3178).